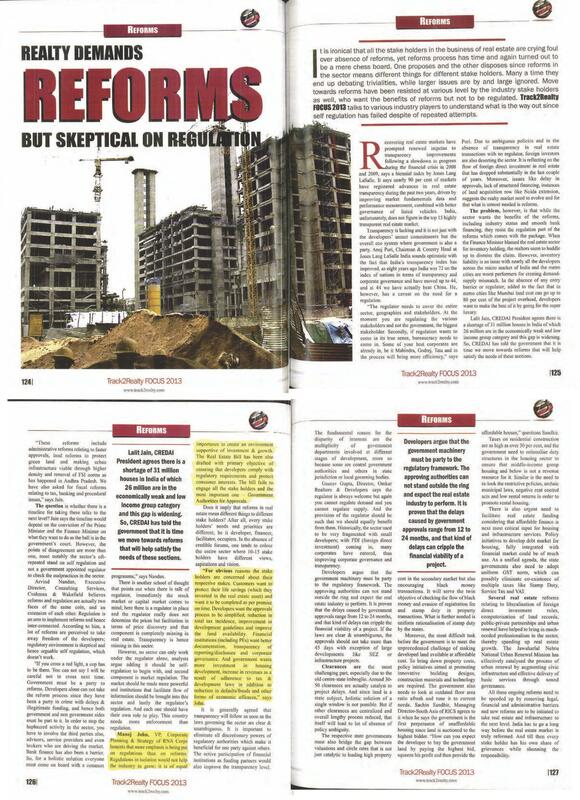 Mr. Manoj John, VP, Corporate Planning & Strategy of RNA Corp laments that more emphasis is being put on regulations than on reforms. Regulations in isolation would not help the industry to grow; it is of equal importance to create an environment supportive of investment & growth. The Real Estate Bill has been also drafted with primary objective of ensuring that developers comply with regulatory requirements and protect consumer interests. The bill fails to engage all the stake holders and the most important one – Government Authorities for Approvals. ← RNA Corp wishes Dinesh Patil – Construction, Y C Rajesh – Marketing, Bhishm R Singh – Construction a very happy birthday….Cheers! !